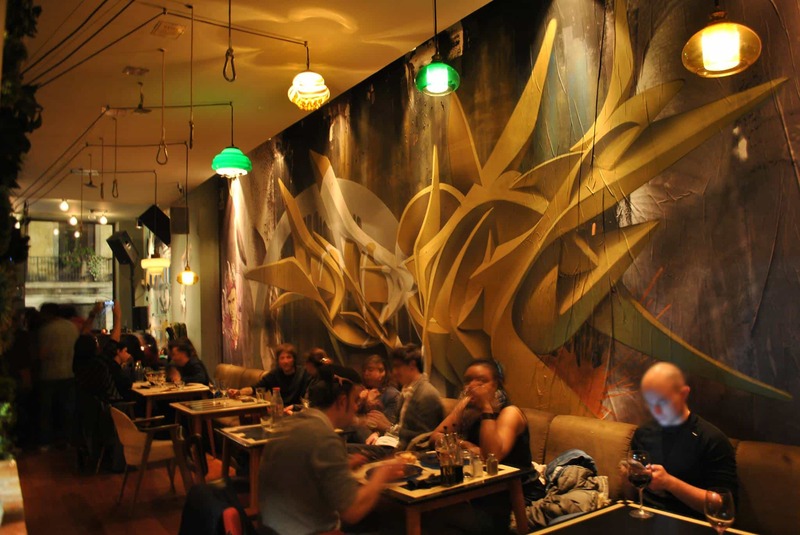 Bring art into your events and spaces ! Our team of artists, content creators, photographers and organisers are available to bring their expertise and create content fitting with your needs. Follow the guide ! Imagine a big graffiti wall where all the participants contribute to the creation of a unique collective artwork. The activity is led by a street artist who explains the concept and the different painting techniques. You will give free rein to your imagination whilst respecting the pre-defined pattern and the work of the others at the same time. 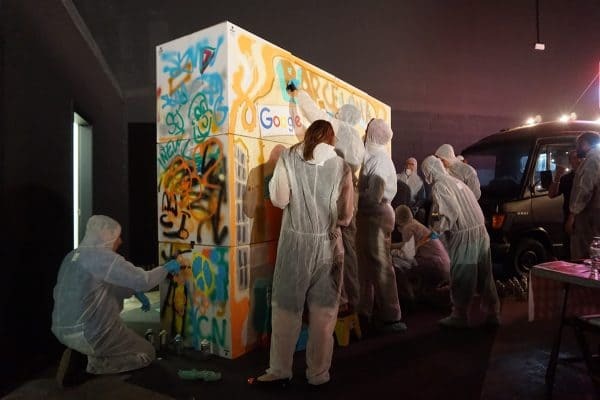 A fun and unique team building experience to have a glimpse of the graffiti world ! 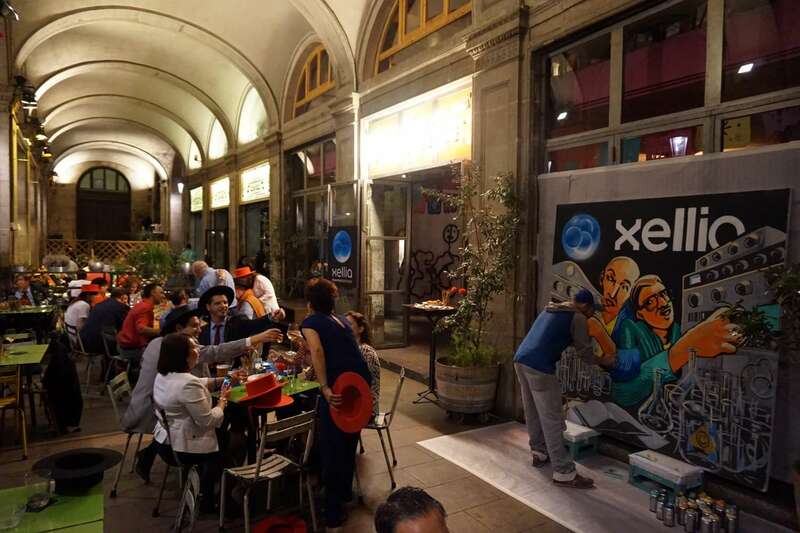 Our team of street artists is here to offer you the best in live painting, creative demonstrations and art shows. These activities are designed depending on your wishes and the events you want to organise. We will bring you our experience and expertise to make your event unforgettable ! We also give you the possibility to participate to a workshop where each participant can learn the basics of graffiti and how to create his own stencils. 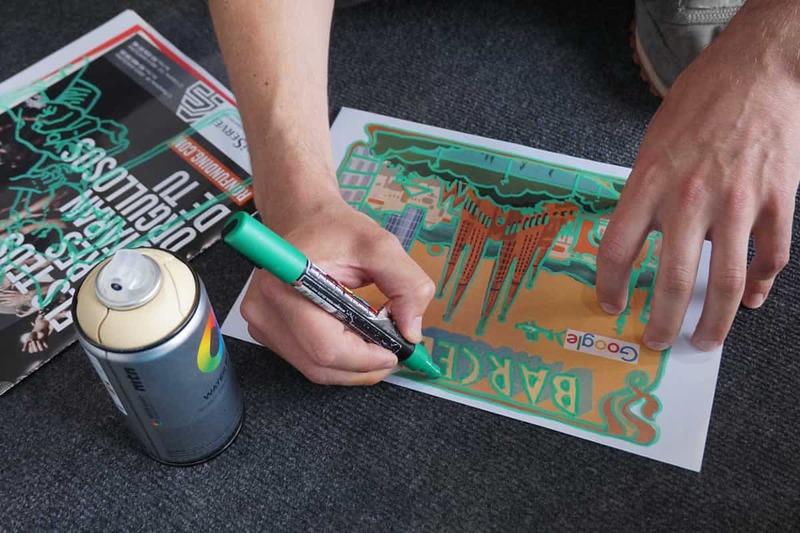 The activity is led by a specialised street artist who explains the techniques and tricks to make your own personalised pieces. A perfect moment to learn and bring with you some memories. We offer our knowledge, art expertise and network of artists to bring the best answer to your business needs. We can help you to redesign your interiors, paint virgin outdoor murals, make your spaces fit with your imagination and give content to your communication tools. Feel free to contact us and let’s create together!